There are, of course, oodles of toppingly fab remixed tunes to be found at AmigaRemix.com. But there are some particularly nifty remakes of smashing old Amiga melodies that can't be heard there (yet), so I thought a thread dedicated to celebrating their aceness might be in order. Good, aren't they? Anyone else got any to recommend? Last edited by Matt Smith on 21/07/2011 - 9:08, edited 1 time in total. This version of Project-X is nice as well. Stumbled upon THIS a few Weeks ago. Yeah,it`s great. What a shame that she got only 19 subscribers - deserves a lot more for her effort. I surely got some faves on my YouTube list that didn`t made it to Amigaremix.com - have to dig them out first. if I happen across a c64/Amiga remix which has not been uploaded to the two sites in the top right hand corner, I usually leave a comment/send a message suggest they upload them there. > This version of Project-X is nice as well. Not quite. It's from the first Immortal Album. > Not quite. It's from the first Immortal Album. Oops, you're absolutely right, of course! Yeah. The 2007 version is a different remix. C64GLeN wrote: if I happen across a c64/Amiga remix which has not been uploaded to the two sites in the top right hand corner, I usually leave a comment/send a message suggest they upload them there. yeah, did that with "Commando64" many months ago, as I was stumbling upon one of his great Turrican Metal-Remakes on YouTube. Still many Remixers outta there who aren`t aware of these 2 Sites. Maybe one day all Remixers of the scene are united in ONE place. But...could be also one of the C64 Classix CD-Rom of the very same Company that brought me to RKO/Amigaremix. I guess all of their CD`s were using Remixers from these 2 Sites over here. Just can`t remember which one I bought first. Most of the tunes on that page are already on AmigaRemix, but the Rodland ones are an exception, and they're a delight. (There are more Z-Out remixes to be found, as well.) I sang their praises previously on another thread, but that was a thread about groovy C64 things and these remakes are very definitely based on the Amiga soundtrack. ^ Good stuff. 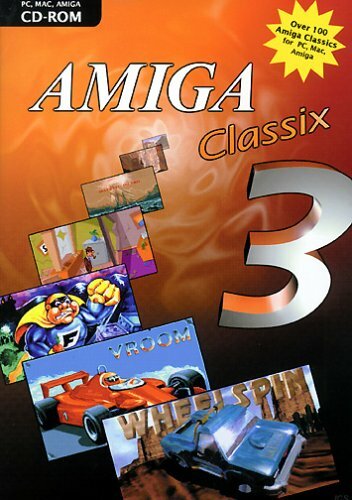 Makes me wonder why he hasn`t released it on Amigaremix. In the description he`s talking about a "Rodland Remastered album" - maybe that`s the reason why.